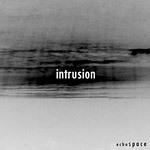 http://charlotteskitchendiary.com/tag/giants-causeway/ Echospace’s last vinyl release was Intrusion. Steve Hitchell kindly gave me a preview of an upcoming CD version. According to Hitchell, this is deeply personal material produced in the early nineties but once thought lost. To me, “Intrusion Dub” feels like a step forward, incorporating reggae elements with short bits of horn amidst the usual techno beat and low bass rumbles. Vocals by Paul St. Hilaire would not sound out of place. This dub is wonderfully deep and original. The cv313 “Reduction” has more Detroit leanings, with a hard synth line thickened by echo effects. It is dark and layered, its square bassline an alien swarm. The “Phase 90 Reshape” starts with cascades of wonky reverb before a fast beat kicks in. This is echo taken to its furthest extreme. http://charlotteskitchendiary.com/tag/mustique/ “Reflection I” could be mistaken for a Basic Reshape with its comforting bass pulse and atmospheric depth. Exclusive to the CD is an extended version of “Reflection II” and the bonus track “Love in Lofi.” The former is thirteen minutes of bliss-inducing textured ambience with subtle stereo effects. The latter is even longer and softer. A slow beat pulls together reverberating chords, clanks, and bells. Buy Generic Adipex Online I enjoy Hitchell’s willingness to experiment on this release. It certainly benefits from playback on a quality system. The Coldest Season took a while to grow on me, but this one jumps right out as something new and different. Note: This review covers an early version of The Seduction of Silence. The final CD is quite different. “Intrusion Dub” and “Reduction I” both made it on, and Paul St. Hilaire did, in fact, provide vocals for some new tracks.